A petition by the NGO Navalokam Samskarika Kendram of Kottayam, Kerala has been converted into a Public Interest Litigation by the Delhi High Court and referred to a Division Bench headed by Chief Justice G Rohini. The plea before Justice Manmohan was against Government’s pronouncement that esteemed Arjuna Award wouldn’t be conferred on triple jump athlete Renjith Maheshwary in the year 2013. Sports Authority of India, Athletic Federation of India and Director General of National Anti Doping Agency have also been listed as parties. The NGO had reportedly,alleged that the last minute withdrawal, after fulfillment of all formalities such as sending the prize money through a cheque and final rehearsal in the Rashtrapati Bhavan with the other participants, had caused him a great deal of embarrassment. The Government took the decision as the athlete was accused of using a 'scheduled' substance (ephedrine) in 46th National Athletic Championships in Kochi in 2008. The petition seeks quashing of this report, contending that the National Anti-Doping Agency had not been accredited by the World Anti-Doping Agency and the "custody of the sample" did not satisfy the legal requirements. It seeks compensation for non-conferment of the award. A Supreme Court Bench headed by Justice R.M. Lodha had earlier in May, refused to interfere with the Government’s decision, reportedly stating that, “This is not a subject matter of judicial review. You cannot bring such matter for judicial review. 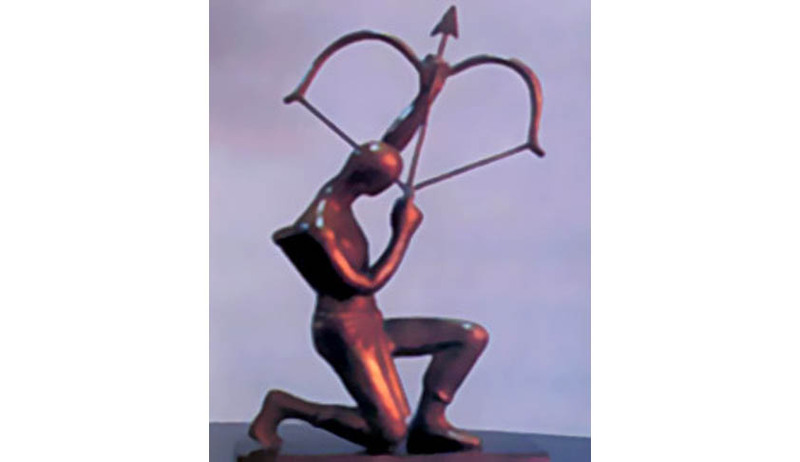 It is not justifiable…There are much more deserving persons who do not get and could not make it to Arjuna award and there are also some who get, though not deserving,” adding that, “even if you have not got Arjuna award, a person can be a good sportsperson”. Even though the Sport’s Ministry eligibility rule (4.2) for Arjuna Awards, as amended on March 15, 2010 states that "sportspersons found positive for use of drugs banned by the International Olympic Committee in any laboratory accredited by the IOC will not be eligible for Arjuna Award", he was nominated again in the year 2014. A strongly speculated reason was that the test had been conducted in 2008, while the NDTL got WADA accreditation in 2009 only. The bench, also comprising Justices M.B. Lokur and Kurian Joseph, refused to go into the concern that “the present refusal (in 2013) should not come on his way (this year)”. Maheshwary had won gold at the 2007 Asian Championships. He finished fourth at the 2006 Asian Games. He also competed in World Championships in 2007 and ’13, and the 2008 Beijing and 2012 London Olympics.